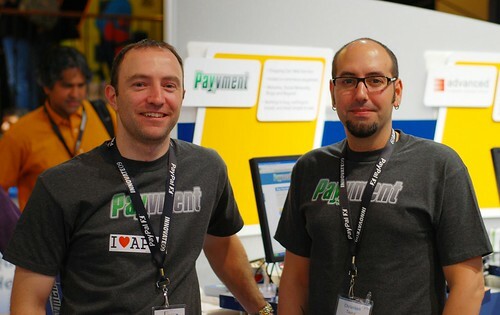 Just when we thought ecommerce could not be improved comes the most important change to the space yet from a San Francisco company called Payvment. For the consumer what Payvment boils down to is an internet wide shopping cart, for the developer and businesses it means the potential to greatly increase revenue with virtually no overhead, did we mention it's free? We think this is a huge disruptor technology, no longer is one tied to some ecommerce specific site, if I owned a company like Shopify I might be very worried. Adolfo Foronda of Nerd Stalker interviews CEO Christian Taylor at a recent PlugAndPlay expo in Silicon Valley. Launch an enterprise-grade storefront on your Facebook page with Payvment's Facebook e-commerce solution. Payvment's Facebook app gives you everything you need including a full-featured admin area built directly into Facebook to manage your storefront, products and sales. Plus, when you launch your Facebook store, your products can be discovered across every storefront on Facebook. Payvment is the leader in Facebook e-commerce.The Shopping Cart REST Web Service is the core system driving both Payvment's Facebook Store app as well as its Web Cart solution. This REST service enables you to build your own completely custom e-commerce shopping solution for the web, mobile, a social network or anywhere else without having to build any complex code or install any server side shopping cart software. Powered by Payvment's redundant server farm for maximum availability. The REST API enables you to retrieve a specific shopping cart and display its contents in your app. If no cart is specified, a new empty cart is returned for your user. By adding optional 'command' variables to your REST calls, items can be added, updated or removed from the cart. The REST service also includes payment processing for your customers via credit card or PayPal. Your sales revenue is instantly available from your PayPal account. The Shopping Cart REST Web Service is free to use and you keep 100% of your sales revenue.